MSc Management students taking part in a Dragon’s Den style competition to come up with expansion ideas on behalf of a local business. Brighton Business School is proud to announce that we have become a member of PRME. “As a university-based Business School involved in the development of current and future managers, Brighton Business School is committed to implementing the Principles of Responsible Management Education – starting with those that are more relevant to our capacities and mission, report on progress to our stakeholders, and exchange effective practices related to these Principles with other academic institutions. 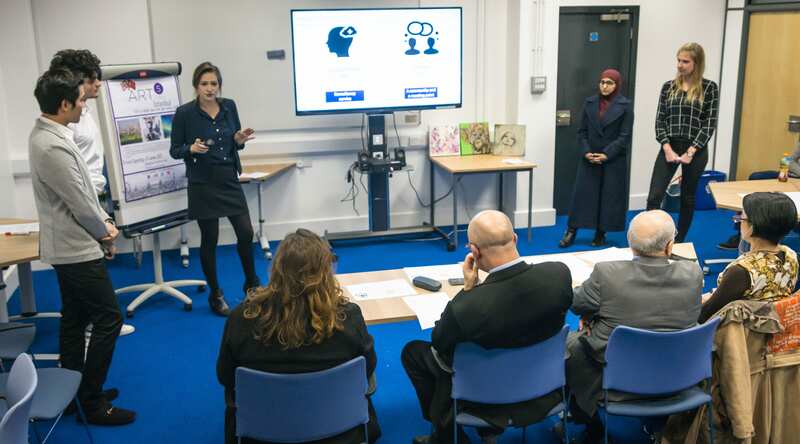 “We understand that our own organisational practices should serve as an example of the values and attitudes we convey to our students.” Professor Toni Hilton, Head of Brighton Business School.